Everyone loves numbers .. don't they? Well, no I don't think so, but regardless we all have to deal with them every day of our lives. I've blogged numerous times about the "science" of web traffic development and, as you must now know, that part of the puzzle is a numbers game. 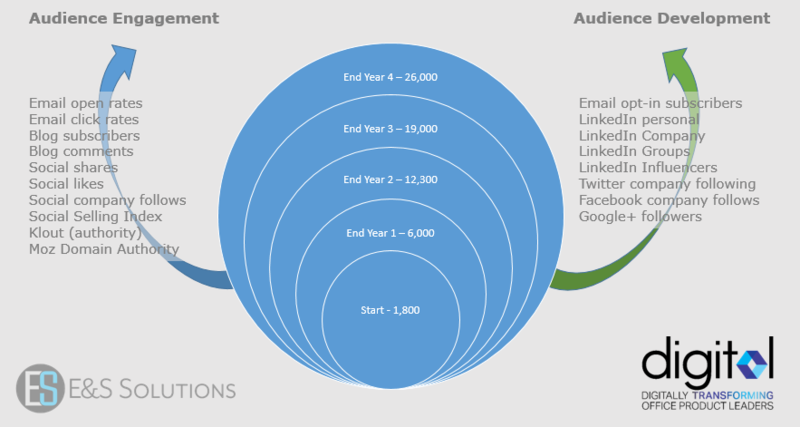 How many email contacts you have, how many social contacts, open rates, click rates, views, shares, etc. etc. However, on the other side of the numbers game is the "art" of the content game. Chances are you won't have an engaged, relevant audience without interesting content wrapped around your compelling value proposition. 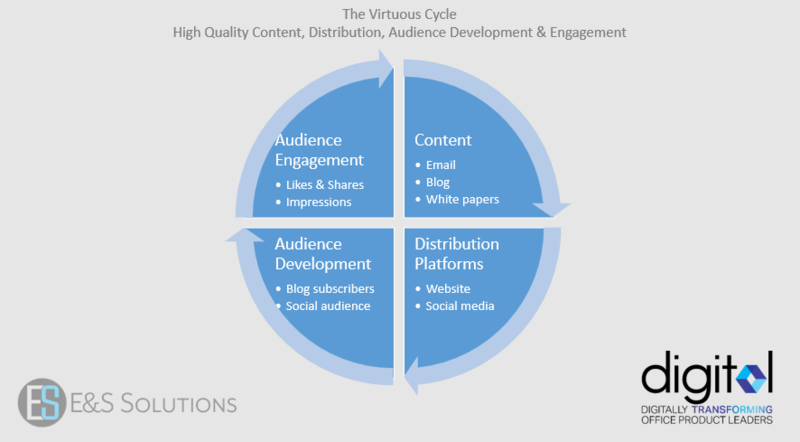 Furthermore, you'll not successfully develop a large, engaged audience without interesting and relevant content. So, if you'd like to avoid the numbers side of the traffic development puzzle, and focus on the other side of the equation, then read on for all the requirements and challenges underlying content, or you'll never be likely to make the numbers mean anything at all. Do you want more web traffic? Simple, increase the frequency of your publications, improve the quality, focus on audience development and improve your audience engagement levels. 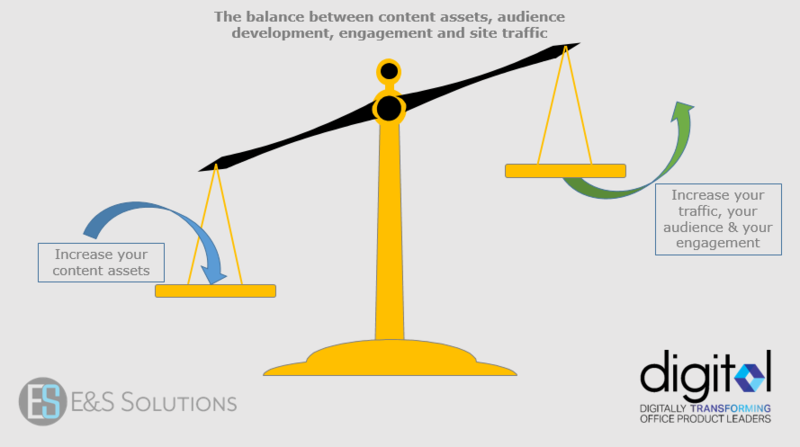 However, there's one underlying requirement that's necessary to achieve a traffic goal and that's quality of content. There's a reason they say "content is king" and it's not just about volume - if the quality is poor, then you will fail to expand your audience or to engage with it. Furthermore, quality doesn't just mean well written, it also means relevant and interesting. In today's internet age we're inundated with content and cannot digest more than a small fraction of what's being created. If our content is to stand out from the crowd and achieve anything, then it has to earn an audience. If it's poorly written, uninteresting or irrelevant, you think it's going to earn any improvement to your audience development & engagement? Of course, it won't! The competition for an audience is intense. So, are you ready to start creating or are you ready to go back to the numbers game? Perhaps you're already starting to get an uneasy feeling the numbers may be the easy part after all! We're assuming you already have your modern, responsive, content-rich website up and running, that you have your relevant social media platforms such as LinkedIn, Facebook, Twitter and Google+ all setup and optimized and, that you're ready, willing and able to invest in a commitment to creating and distribute useful, interesting and relevant content. You know the content piece is going to take time, money and effort and, in order to make that investment worthwhile, you need to understand how to develop a relevant and engaged audience. After all, why would you invest in creating content if you're not going to have a significant audience to share it with? I keep going on about audience expansion and audience engagement. Lots of people are jumping into digital strategies and this whole, "bigger-must-be-better" concept, seems to impair their judgment. How many times have you seen ads on Twitter and Facebook pitching you 10,000 Twitter or Facebook followers for $49 or less? You've doubtless seen them but you should resist the temptation. This may quickly get you a large audience on paper, but you think it's going to engage with your content? The answer is a firm no - of course, it won't. So, buying followers is a complete waste of time - don't do it! You have to work to develop a large and engaged audience - only a relevant audience will engage so, by definition, a disengaged audience has no value. We have to figure out how to build a relevant audience knowing it's more likely to engage with our interesting and useful content. This is where the local component for a small business social media marketing strategy can really start to pay a dividend. I'm a strong advocate for leveraging technology to improve an overall business and value proposition while simultaneously working to develop real face-to-face business relationships in local markets. It's these relationships in local markets that you're going to count on for developing a larger and more engaged audience. For now, forget about trying to develop web-traffic from throughout the nation. 'Your mission is to develop relevant traffic in your local market which, in turn, leads to successful customer acquisition, e-commerce, and profitable sales growth! The first requirement is to define your territory, the size of which is going to depend on your local demographics in terms of population and business density. In the examples shown in the table above, areas such as New York and Los Angeles, where the population density is higher, then so also is the business density. The higher the business density the lower the square miles of the territory you need and vice-versa. We're going to focus on the average urban density of 25 businesses per square mile for this example. In a territory with a boundary of 25 x 25 miles, or 625 square miles, it should be expected to find nearly 16,000 business enterprises. These are your targets. Of course, they have to be qualified, but in our office products industry, it's typical to be expected that most businesses consume some level of office products and office supplies. There is no shortage of prospects. In fact assuming an entry level prospector can make 20 cold calls per day, five days per week and 50 weeks per year, it will take over three years to make a single, physical call on each business in the territory. You can also try manning the phones, making 100 calls per day and getting the job done five times quicker. Your objective from these cold calls is realistic. You know you're very unlikely to open any new accounts or even to get to see, or speak with a decision maker. However, that's not your goal - your objective is to obtain the name and contact details of a decision maker along with the website address. This will be what you're going to use to research what the company does and to start the process of qualifying it as a sales prospect. Even though on first sight it may appear to be less productive, the personal call will be more beneficial in the long-term. Remember, you have a website and a value proposition to be proud of. A physical call means you can leave a calling card and you can leave a tri-fold that explains what you do. This is the first step in building a face-to-face business relationship that will pay dividends over the longer term! Once you have the website you can do your research, learn what the business does and what social media they're active on. You can follow them on their social media accounts - on average, 40% or so of those you follow will follow you back, thereby accomplishing your goal for expanding your audience. You can like and share what they're publishing - they'll love that, after all, we do when someone shares our content! By liking and sharing content you're continuing to build a relationship so, when they see your content, it's more likely to get their attention, thereby becoming a potential source of new likes, shares of your content and subsequent clicks back to your website. You get the picture - it's a virtuous cycle! Get your story right and leverage your local presence - studies show up to 80% of buyers would prefer to buy locally assuming the value proposition is at least equivalent to that from a national brand! In building your reputation and presence in your local market you will successfully develop your local audience and take a major step along the path toward a successful business transformation.